Last month, we wrote about the troubles that come with allergy season and how our professionals can help you enjoy a more pleasant spring. But indoor air quality products are good for all seasons, especially when you have our skilled team helping you find the best choice to match your home’s needs. Even if you don’t think you’ll have trouble with allergies, take the time this spring to have air filters and air purifiers put in that will defend your household from the many other IAQ issues you might encounter. The air conditioning system in your home moves a ton of air during its operation. It is responsible for pushing huge volumes of air through your ductwork and into your home. Because of that, it has a huge impact on the quality of the air that it is moving. The Fresno air conditioning professionals at Purl’s Sheet Metal & Air Conditioning have years of experience working with all different kinds of AC systems and air quality products. We wanted to share a little bit about how your AC can impact your home’s air quality. Your air conditioning system is a huge component of your home. But it can do more than just cool the air in your home—it can also be used as a powerful indoor air quality control system. If you need any type of air conditioning services in Fresno, CA, just call Purl’s Sheet Metal & Air Conditioning. Check out a few of the ways that you can use your air conditioning system to clean your air. Humidity control – Your air conditioning system naturally provides dehumidification. As the warm air form your home passes over the cooling coils, the moisture gets deposited on them in the form of condensation. Running your air conditioning system is a great way to not only cool your home but also keep humidity under control. 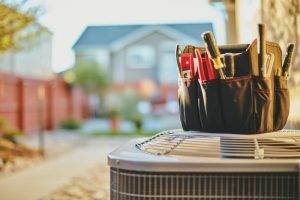 The Fresno air conditioning professionals at Purl’s Sheet Metal & Air Conditioning can repair any issue that you might be having with your AC system. 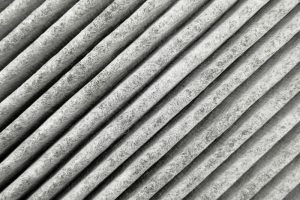 Air filters – Many different brands of air filtering products can be installed in the air handler or ductwork of your AC system. These filters remove a large range of contaminants like dust, dirt, pet dander, pollen and many other pollutants. By running your air conditioning system you actually can get cleaner air. Germicidal lights – UV germicidal lights are another great way that you can clean your air just by turning on your AC. UV germicidal lights are also installed in your air handler or ductwork. 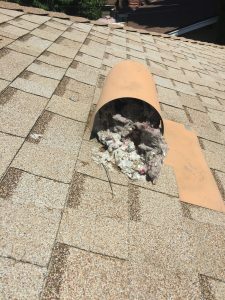 They destroy organic contaminants like viruses, mold spores and bacteria as they pass through the ducts and the UV light. If you’re interested in air conditioning installation, repair or maintenance in Fresno, CA, call Purl’s Sheet Metal & Air Conditioning. We can also talk with you about improving the quality of air in your home with air filter, duct cleaning, UV germicidal lights and more.